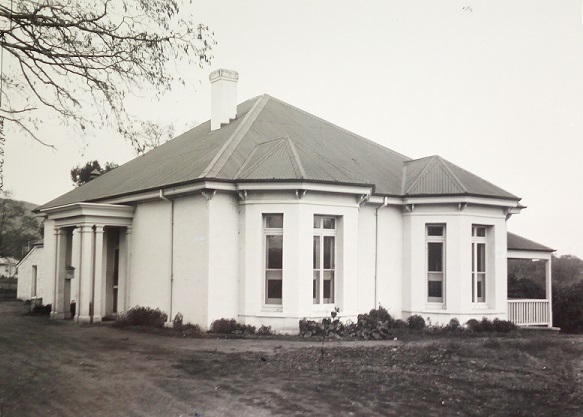 Libraries ACT blog: On this day, in 1824, who managed to get a ticket for land in the centre of Canberra? On this day, in 1824, who managed to get a ticket for land in the centre of Canberra? On 21 October 1824, Joshua John Moore was given a ticket of occupation for land in what is now the centre of Canberra. As a result of this opportunity, he became the first pastoralist on the Limestone Plains. '...sanction for the temporary occupation if 2000 acres of land in a circle around your stock yard ... to be placed under the charge of John McLaughton, free by emancipation, provided that it is now depasturing by no previous owner,' (Mawer, p.17). 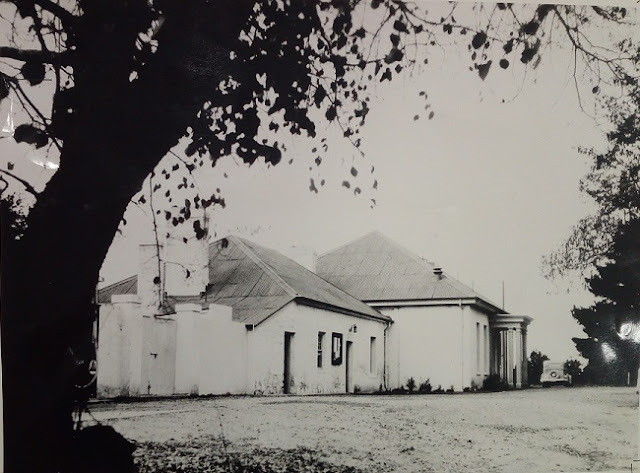 The last provision meant that Moore had to race to get there before any of the other pastoralists who had their eyes on the area, in particular ex-convict Owen Bowen. Moore took the precaution of hiring the talented John McLaughton out from under Bowen and making him superintendent of his own holdings. McLaughton, himself only recently pardoned, set out from Goulbourn with two assigned convicts James Clark and John Tennant, in late 1824. When they reached the Limestone Plains they chose the site of ‘Canberry’, a word used by local Aboriginal people. Canberry was ideally situated next to a deep waterhole and a rise of higher ground above the flood zone, which is now home to the National Museum of Australia (NMA). Bowen, defeated, ended up settling at Marley south of Lake George. On the Canberry site, which was previously used by Aboriginal groups, McLaughton, Clark and Tennant established their dairy holdings. Within a few days of settlement they constructed rough temporary bark huts before later clearing and formal building could be completed. Moore’s 2000 acre property covered most of the city area, including Acton, Civic, Reid, Lake Burley Griffin and the Australian National University. McLaughton, Clark and Tennant were on the Limestone Plains for nearly a year before any further settlers, such as the Campbells of Duntroon, showed up. Their time in those early years was fairly isolated, with little contact with the wider colony. It all proved too much for Tennant, who in September 1826, stole £6 from his employer and escaped. He joined a bushranger gang and was at large for over a year, at one time holding up Canberry station. Mount Tennant in the south of the ACT was named after him. 'The land I wish to purchase is situated at Canberry on the east bank of the river which waters the Limestone Plains above its junction with the Murrumbidgee adjoining the grant of Mr Rob’t Cambell Snr, my having had the possession of that land for upwards of three years,' (Meyers, p. 31). An astute reader will notice that the dates don’t quite add up. Some argue that Moore was exaggerating how long he had been there to buff up his claim to the property. Whatever the method, he was eventually successful and was allowed to buy it. His men extended and built the stone Canberry Cottage. By the 1828 census, the station had cleared and cultivated twenty five acres. Despite having been such a prominent pioneer, Moore never lived at Canberry or took any interest in the development of the district, and the property was managed entirely by overseers. After a period of drought and financial troubles, Moore sold it in 1843 to Lieutenant Arthur Jefferies, son-in-law of Robert Campbell. Jeffries renamed the property Acton, after which the cottage had many roles including parsonage, the home of surveyor Charles Scrivener, and a police station and courthouse. It was demolished in 1941. Most evidence of Moore’s property was destroyed by the building of the old Royal Canberra Hospital and more recently, the NMA. Only a plaque, built using some of the stone of the cottage remains. The name Canberry survives still, in its altered form of ‘Canberra’. Moore’s story and the history of the Canberry property can be traced in several publications in our holdings. Original photographic prints of the station are available in HMSS 0091 Canberra Our Capital Photographs. Fitzgerald, A. 1977, ‘Canberra in two centuries : a pictorial history,’ Australian Government Publishing Service, Canberra. L. F. Fitzhardinge, Australian Dictionary of Biography. 1967. 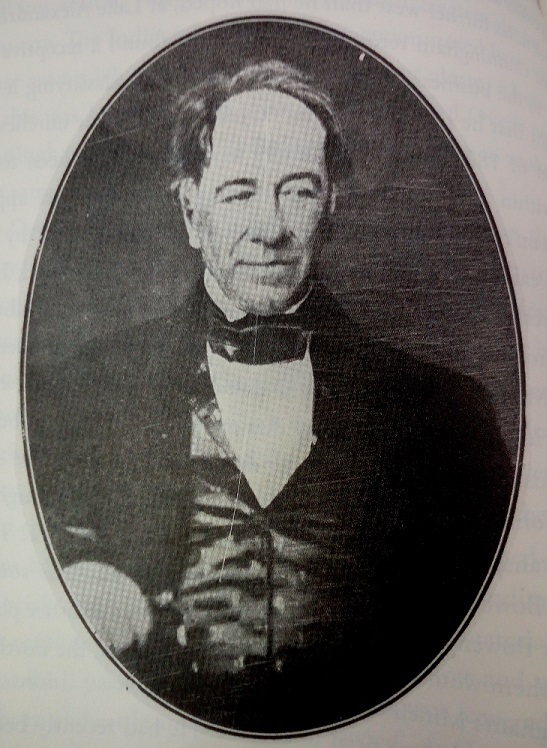 Moore, Joshua John (1790–1864). Mawer, G. A. 2012. ‘ Canberry tales : an informal history,’ Arcadia, Melbourne. Meyers, D. ‘Lairds, lags and larrikins : an early history of the Limestone Plains’ Sefton Publications, Canberra.